Sally's research interests are on job quality, working time arrangements, pay equity, executive remuneration, workplace health and safety, restructuring, retirement and superannuation and work-life balance. She is currently undertaking doctoral studies in the field of job quality. Sally joined IER in February 2013. 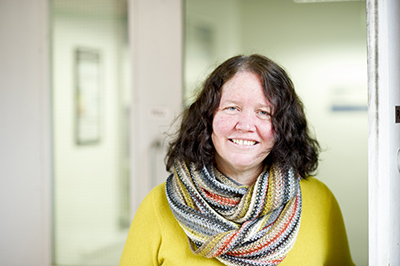 Sally came from the Workplace Research Centre (WRC) at The University of Sydney Business School where she was the project manager and lead researcher for the Award Reliance project. This was a major project commissioned by the Fair Work Commission (FWC, Australian federal government agency responsible for setting minimum wages). The project involved conducting a survey of over 11,000 Australian businesses about their wage-setting practices and reliance on minimum wages. The findings are being used by the Australian Minimum Wages Panel in the 2013-14 Minimum Wage Review. Before joining the WRC, Sally worked for five years as a National Industrial Officer for the Finance Sector Union of Australia and in IR, employment and VET in the New South Wales public sector. She has undertaken consultancy work for a range of clients including the NSW MERSITAB, UNESCO and UNESCAP. Warhurst, C., Mathieu, C. and Wright, S. ((2017)) ‘Workplace Innovation and the Quality of Working Life in an Age of Uberisation’, chapter in P. Oeij, D. Rus and F. Pot (editors) Workplace Innovation: Theory, Research and Practice, Aligning Perspectives on Health, Safety and Well-Being series, Springer Publishing Company. Stuart, F., Pautz, H., Crimin, S. and Wright, S. (2016). What makes for decent work? A Study with low paid workers in Scotland (Initial Findings). A UWS-Oxfam Partnership report with the support of Warwick Institute for Employment Research. Glasgow: Oxfam Scotland. Warhurst, C. and Wright, S. (2014). If it's innovation you want, think about job quality. In: BBVA (eds) Reinventing the Company in the Digital Age, Madrid: BBVA, pp. 157-174.